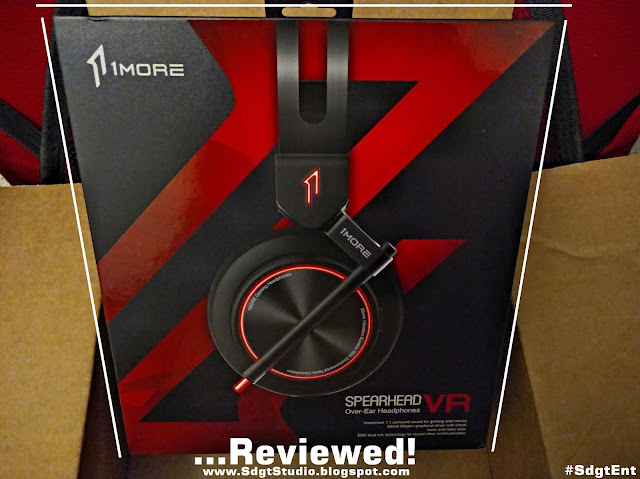 Super Duper Gamer Team Entertainment: 1More Spearhead VR Gaming Headphones... Reviewed! E3 is here... (came around mighty quick didn't it? 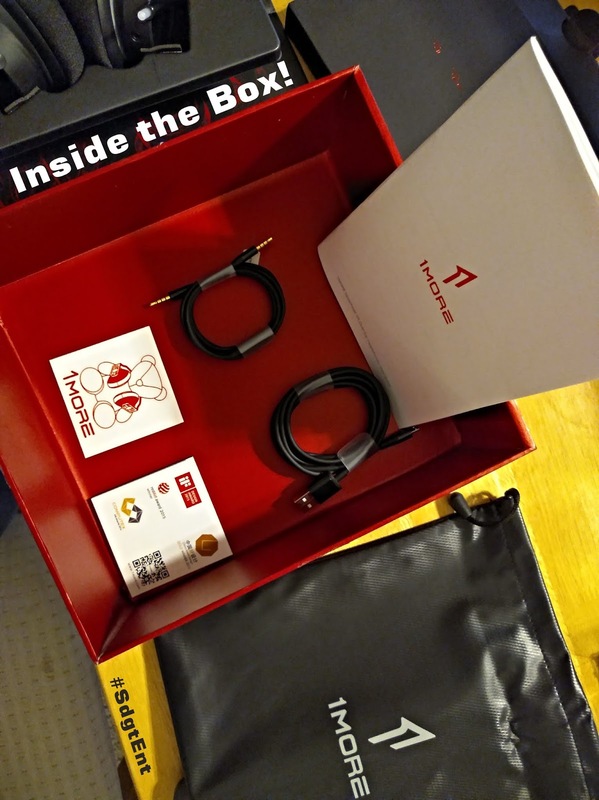 Especially with companies jumping the gun to get their preferences ahead of the actual show) and what better way to celebrate than to do a product review?! I knew this package was coming... but I was awaiting its arrival with great anticipation. 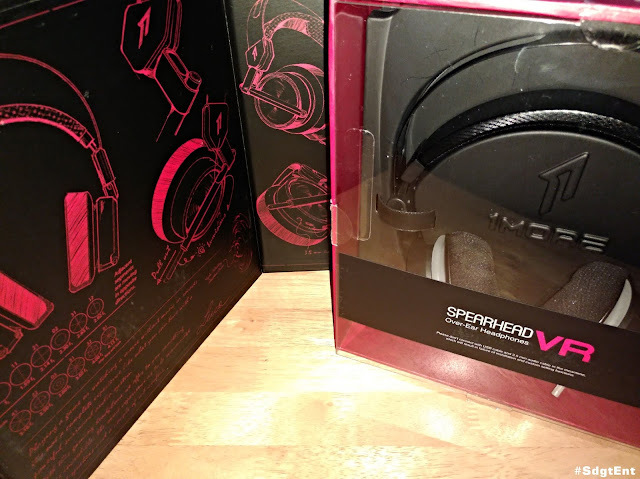 HEADPHONES... headphones... headphones, time to review the 1More SPEARHEAD VR Headphones. 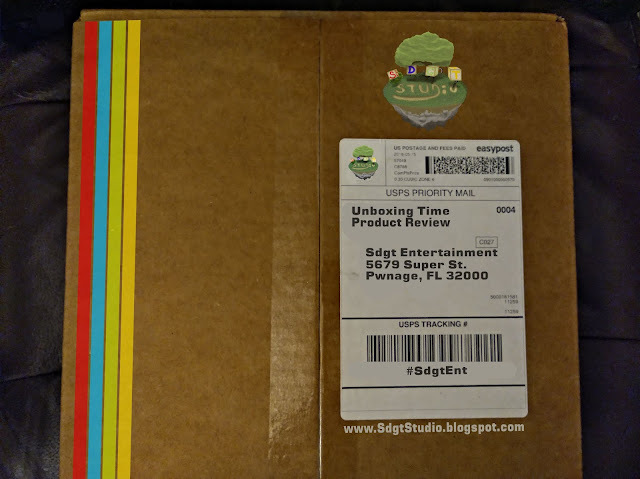 The package has some weight to it, but to actually feel the quality of the box... I can see why. It's definitely a higher quality box. Here's a close up of the texture. Let's open it up to the official SdgtEnt theme music by Kae Remmer the... Flying Carpet Merchant. One thing I appreciate greatly about this packaging is the concept art. As an artist, and those familiar with concept art... you know (like I know) that concept art is rarely seen, so I have to give props. The colors match with the packaging and it just shows the work gone into the product... so you see the concept... and next to it is the complete product. This isn't a package I'd just throw out. 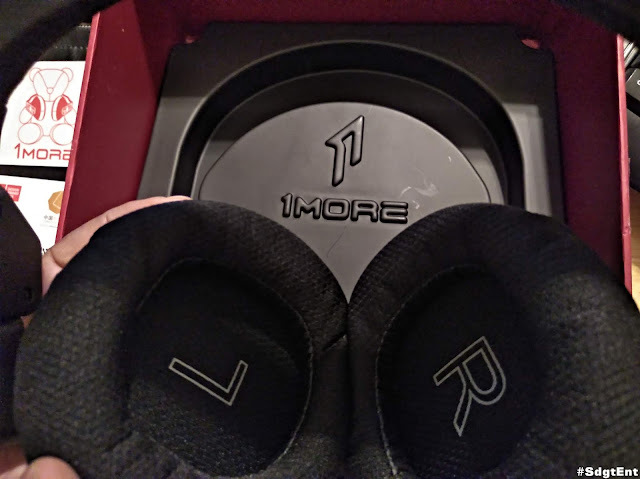 This is something small, but I couldn't overlook the fact that they made a serious effort to protect these headphones. 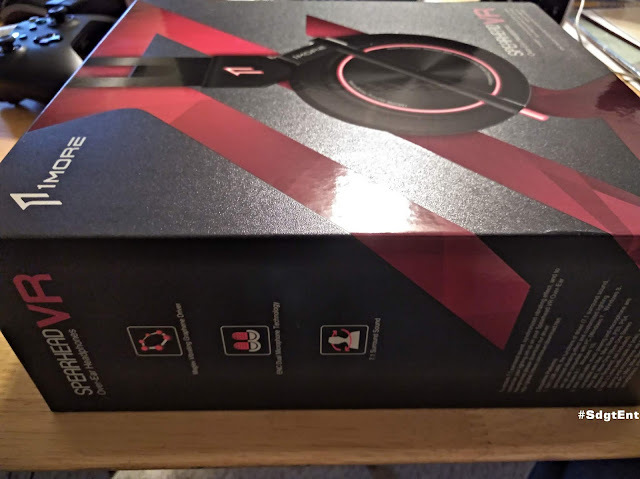 The box is super sturdy, the headphones are strapped in by velcro, the headphones are resting on padding, and the clear cover that rests on top of them also has a foam piece protecting the earcups. Greatly appreciated and makes me feel like the company cares about its product and the reputation of its products. As seen in the video... the little black container inside the box contained a 3.5 MM Connector, a USB cable for PC use, headphone bag, instruction manual, a cool little decal and... a small booklet showcasing other products. Actually holding these headphones in hand... they feel light but durable. Super happy about that, I don't like an unnecessary amount of weight on my head (my noggin's enough)... so thumbs up. 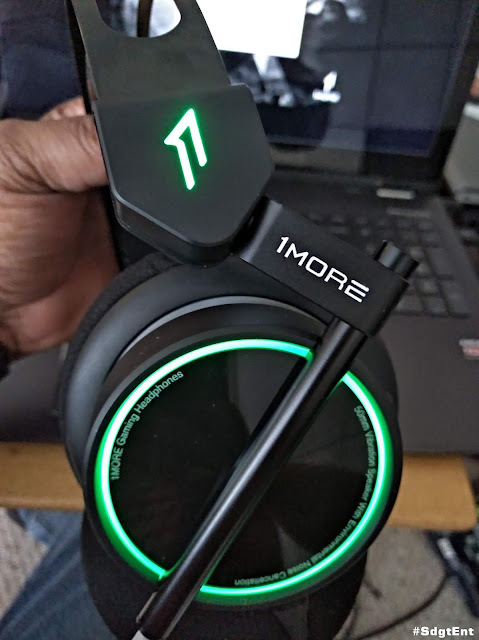 The fact that the cords are detachable is a major plus also because there is no worry about snagging while on the go, and... at worst they just detach or you can replace them (so the headphones live to see another day of... audio action). 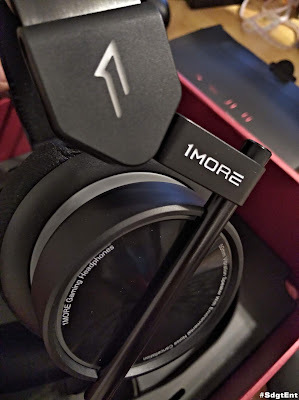 A fun fact about these headphones is that they were actually a CES Innovation Awards 2018 Honoree. 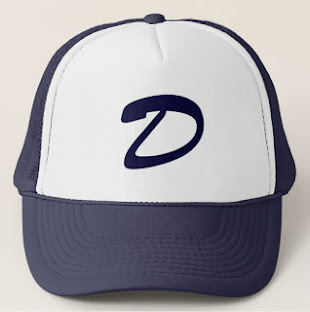 The design is definitely something that stood out to me too, so that's pretty cool. 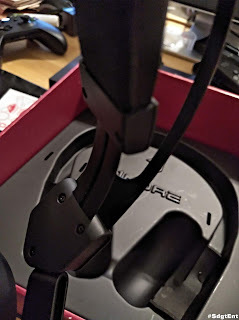 I personally was looking at the earcups wondering how sturdy they were... connected to sticks... but these are not flimsy at all (it's a nice solid design). You don't have to adjust the headphones with a clicking system either, you just put them on and they adjust. 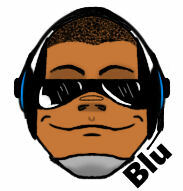 This isn't the newest concept out there as far as headphone adjustment, but at the same time... it's always welcome. The image below showcases the 3.5 MM & USB ports. In addition, you see a dual purpose Volume & Bass adjuster... along with a mic switch closer to the upper back of the left side. The interior of the earcups showcase a large L & R... just in case you aren't sure which side is which. These headphones add another level of cool with the fully customizable LED light system. You might read that and think that there are maybe 20+ colors that cover a good amount, but... you have access to a color dropper in the UI that gives you the choice to choose whatever you want. Any blue you want, bubble gum pink, neon green... and the list goes on. Not only that... you can switch the light up, to be solid, or blink in a number of ways. One light option seemed to flash with the beat of the music. I didn't just review these in the office and kicking back in a chair at home... I took them on the road for vacay action to soak up the experience as much as I could with a number of movies, games, music, ASMR, and phone calls. These headphones have dual microphone technology, so you'll be heard during phone calls, audio recordings, and in-game chat(trust me). The two sticks on the sides of the headphones actually house the mics. Played some indie games at home like... Milanoir. Jumped into some AAA action with... Just Cause 3 in the office! Dove into some Rocket League action while on vacay... and I switched up the lights to match whatever I was wearing (literally... just because I could). By the way... the light stick is something you can extend if you want, and the LED lights are just as optional. 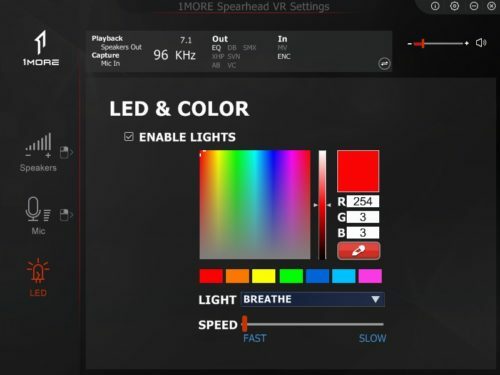 Don't want them always on when connected to PC? No problem, turn the lights off (light only available with the USB... but no biggie). Now let's get down to what you're really really here for... the sound. 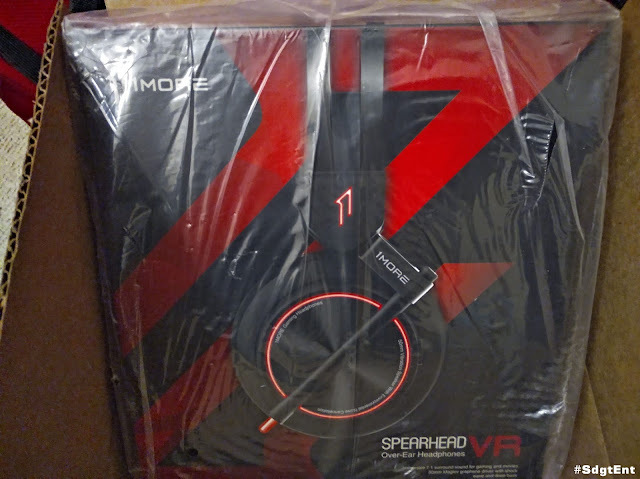 The duh of the day is that the 1More Spearhead VR Gaming Headphones work with VR, but... based on what you've read so far, (clearly) they aren't reserved for VR games only. They give you 3D spatial sound capabilities (powered by Xear surround sound) for whatever in the heck has surround sound. 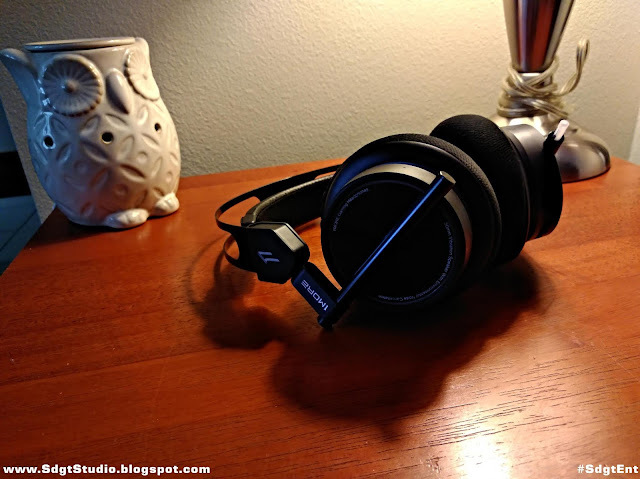 I actually used Dolby Access to test them on a serious level in terms of spatial sound... and these headphones really roll with the punches extremely well (kickass). You get 7.1 Channel Surround Sound... not digital. Nothing against digital, but 1More took these headphones there to actually deliver true 7.1... that I appreciate tremendously with the addition of the Super Bass VR Shock Wave. When you need to feel it... you feel it, and not that cheap rumble crap that delivers the same vibration output for everything. This gives the right amount of oomph required for that particular scene or moment in gameplay. Speaking of surround sound... 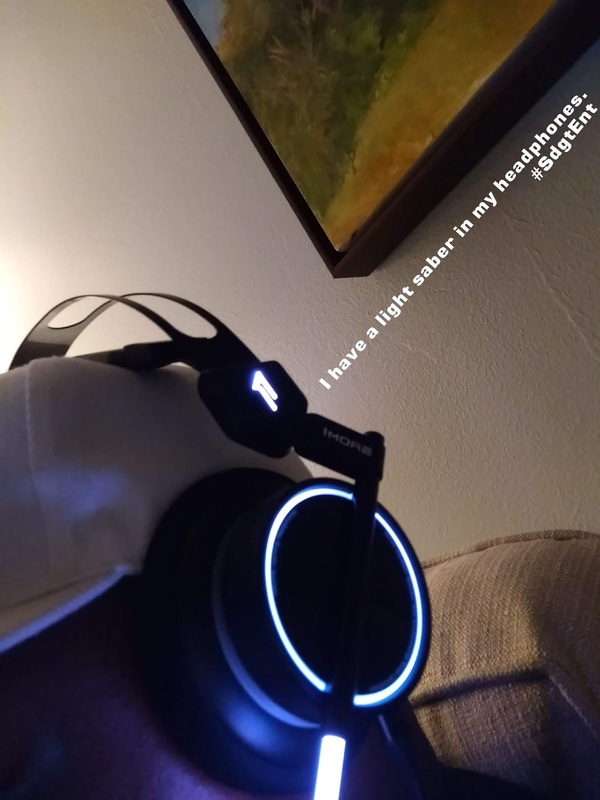 I used these headphones for Hunt: Showdown, and it literally put me in the zone so much so that...I almost jumped out of my seat when someone walked into my office and I happened to catch them out of the corner of my eye. Thanks, Ms. Daisy... #JumpScare! Using the 3.5 MM connector vs the USB is a big difference in experience (but it's not bad... you just go from sweet to... sick). 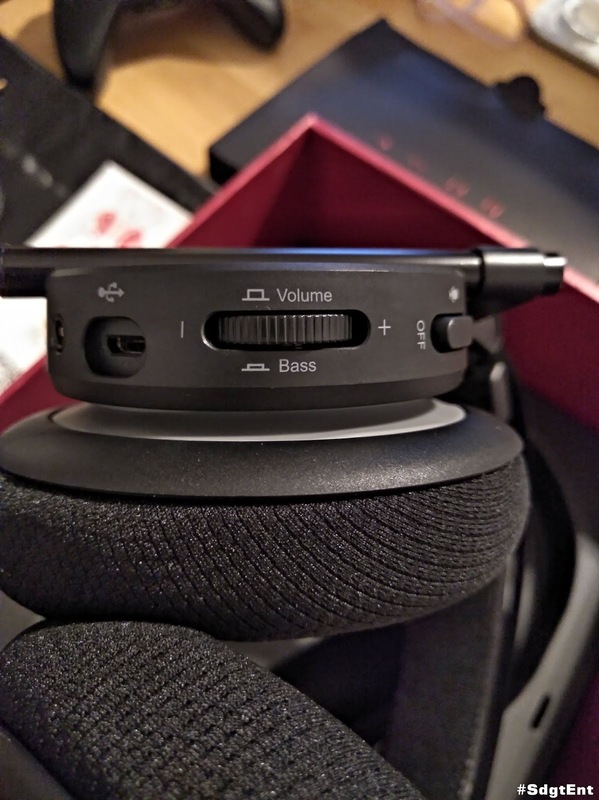 I listened to a variety of music with the 3.5 MM connector, and its nothing I'd frown at... the bass was good, vocals were clean and I could hear instruments in songs that had actual instruments. The beauty of it is that... all I have to do is swap cords based on what I want (music or theatre). Now on to my tolerance level for these headphones. 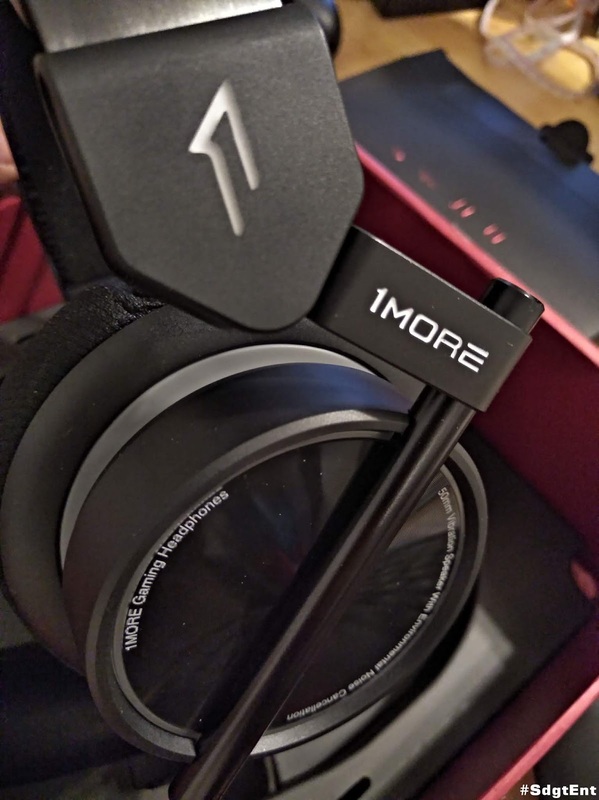 These 1More Spearhead VR Gaming Headphones are over the ear... and don't press on my ears at all (which is great for those of us with earrings). I've been able to wear them for hours, and most of the time I don't take them off because they're annoying me, it's more so because I need to hear and properly communicate. Ever end up in one of those situations where someone asked you something and you have the slightest clue? Been there... done that (and these cancel out noise well). Price wise... these headphones are $129.99, which is a sweet spot... no arguments whatsoever from me. This is the VR version, while the VRX version with head tracking technology will run you $249.99. For the serious VR fans... the VRX might be your thing, but... the VR version works for me. 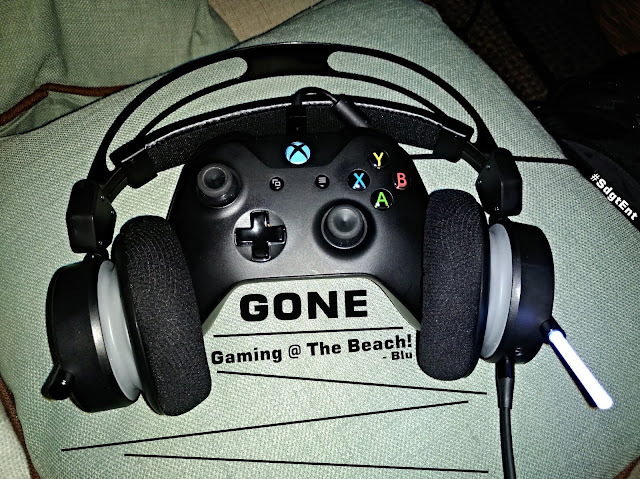 The only con is that they aren't DJ-Style headphones... resulting in me placing them on my head at an angle when not in use and I have nowhere to place them. Also, if it were up to me, I'd flip the mics so that they're closer to the mouth... instead of being near the back of the head. The dual mics work... but I'm sure they'd pick up even better if the mics were relocated. 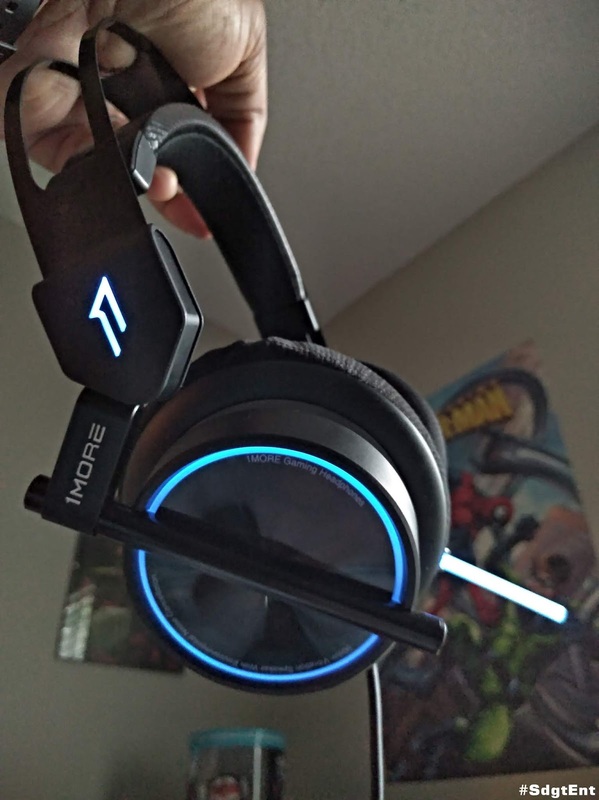 Overall, the 1More Spearhead VR Gaming Headphones feel comfortable, they sound awesome, boosts the experience (when using the USB)... and it's priced well. If I can make a suggestion for a future version though, it would be to incorporation the DJ-Style swivel into the headphones because they're portable... and that would increase their portability. Other than that, good stuff.